In my counseling practice, I often see young adults who struggle in their relationship with their parents. The majority of these clients are in college and in the transition period of leaving adolescence and entering adulthood. Relational struggles stem from the tension to “honor your parents” (whatever that means) while also voicing different thoughts and making independent decisions that may conflict with parents values or viewpoints. Clients often ask me: So what does ”honor your parents” mean anyway? What does it mean that I’m a young adult but they still treat me like a child? How do we “fight well” as two adults when conflict comes up, rather than like a parent and child? I think Scripture gives guidance on this issue that can help navigate this tricky time. If you benefited from this post, you might need to follow it up with – How to Start a Difficult Conversation. We’ve all entered that moment of decision. The temptation to act or to think when we know that we shouldn’t. It’s your conscience that tells you, “Stop!” And so you either listen to your conscience or you ignore it. It’s a stop sign that you either stop at or run. But consciences don’t tell you what to do. They warn you about what not to do. You see: our conscience warns us against unjust acts, but wisdom tells us how to act wisely. If you want to learn more about wisdom in decision making, consider my post – Seven Steps to Wise Personal Decision Making. In my experience, families in which a child or parent is being treated for a mental health condition are significantly less likely to regularly attend worship services or participate in small groups, Christian education, or service activities than their friends or neighbors. Given that one in five children and adults in the U.S. experience at least one mental health condition at any given time, their families represent a large population desperately in need of tangible expressions of the love of Christ and the spiritual benefits associated with active participation in the life of a local church. Dr. Grcevich new book, Mental Health and the Church, is highlighted in the “What I’m Reading” section below. In this brief space, I’d like to make way for a more productive conversation on the positive and negative aspects of parachurch ministry. In fact, I’d like to assert, in what I hope is a modest way, that parachurch ministries are an important part of Protestantism, providing unity that is otherwise difficult to produce and maintain in the Protestant world. 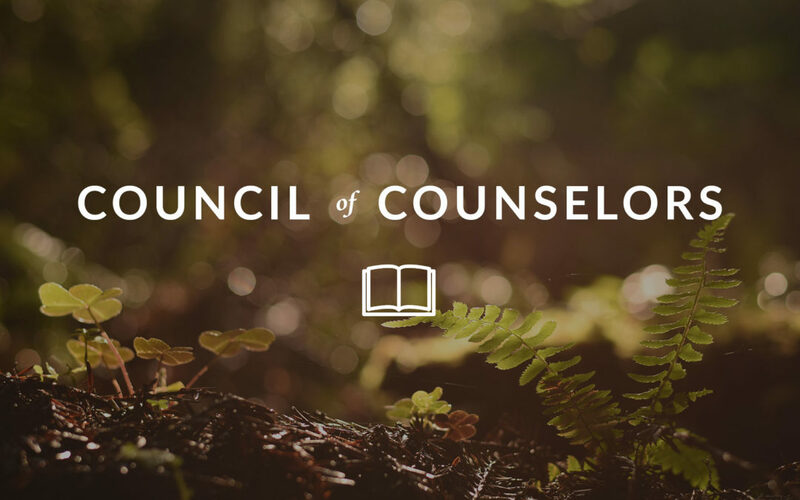 I’ve had a similar parachurch-to-local-church journey as Joe Holland and hope what we’ve done with the counseling ministry at Summit honors these same principles. When I pastored, Facebook was the biggest source of information that could help me minister more effectively. The people of my church were telling the world (and me, if I was listening) the problems, stresses, and joys of their life. There are countless times where all I had to do was reference their latest post to dive into a deep conversation and application of the gospel. 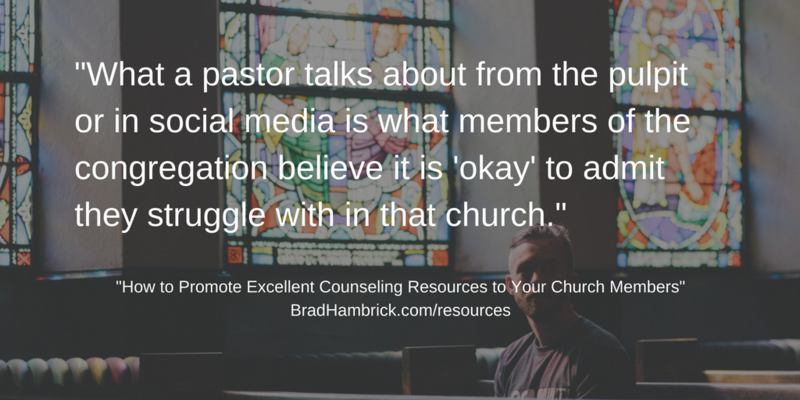 Here is a model of how to use social media effectively in ministry – How to Promote Excellent Counseling Resources to Your Church Members (the “Meaningful Meme” image below is taken from this post). 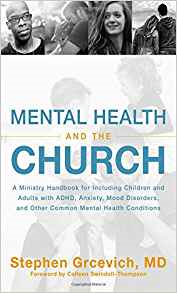 Mental Health and the Church: A Ministry Handbook for Including Children and Adults with ADHD, Anxiety, Mood Disorders, and Other Common Mental Health Conditions by Stephen Grcevich, MD. The church across North America has struggled to minister effectively with children, teens, and adults with common mental health conditions and their families. One reason for the lack of ministry is the absence of a widely accepted model for mental health outreach and inclusion. In Mental Health and the Church: A Ministry Handbook for Including Children and Adults with ADHD, Anxiety, Mood Disorders, and Other Common Mental Health Conditions, Dr. Stephen Grcevich presents a simple and flexible model for mental health inclusion ministry for implementation by churches of all sizes, denominations, and organizational styles. The model is based upon recognition of seven barriers to church attendance and assimilation resulting from mental illness: stigma, anxiety, self-control, differences in social communication and sensory processing, social isolation and past experiences of church. Seven broad inclusion strategies are presented for helping persons of all ages with common mental health conditions and their families to fully participate in all of the ministries offered by the local church. The book is also designed to be a useful resource for parents, grandparents and spouses interested in promoting the spiritual growth of loved ones with mental illness. I disregard you because you aren’t as virtuous, well-behaved, and doctrinaire as I am. I disregard you because you aren’t as kind, accepting, and inclusive as I am. I’m guilty every day of both. I need Jesus in EVERY way. You naturally operate in a personality type. But you are not a slave to it.